Interested in joining the Cats this AFL Season? Find out more at our club information day. Coaches from all age groups will be in attendance. Uniform Shop is now Open! Stuck for ideas for Easter Sunday lunch? Why not treat the family to Easter Lunch at Kalinda Restaurant at RACV Royal Pines! A generous sponsor of the Cats for 2019, RACV Royal Pines is offering our members a seafood buffet with 2 hour beverage package and live entertainment, including kids entertainment and activities. Kids 4 and under eat free! Bookings are essential so get in quick! Broadbeach Cats Juniors AFC shared a photo. Great to have Aaron Smith and his First National Centrepoint back on board..
Broadbeach Cats Juniors AFC shared a post. 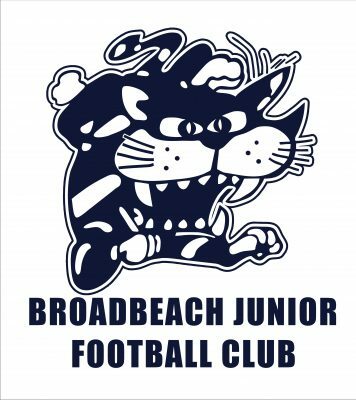 Broadbeach Cats Juniors AFC shared a Frank Martin discusses Youth Sports. Now this is good. Watch till the end.